Are You Taller Than The World's Tallest Dog? 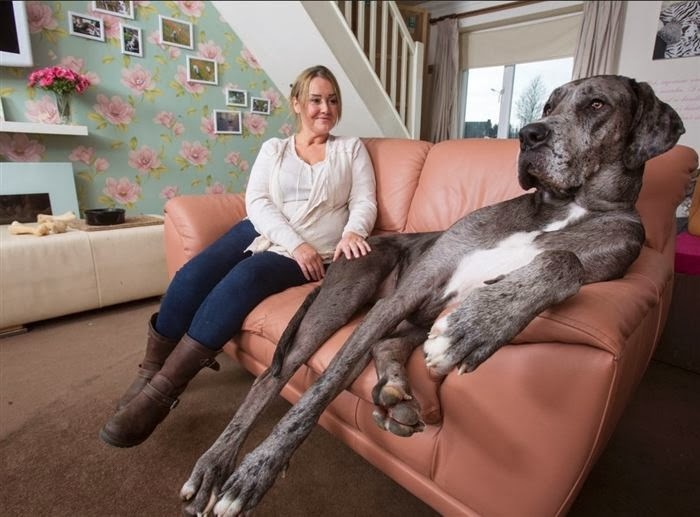 Imagine cuddling up to Freddy, the World's Tallest Dog. At 7-foot-4 and 154 pounds, Freddy is more than likely way bigger than you. 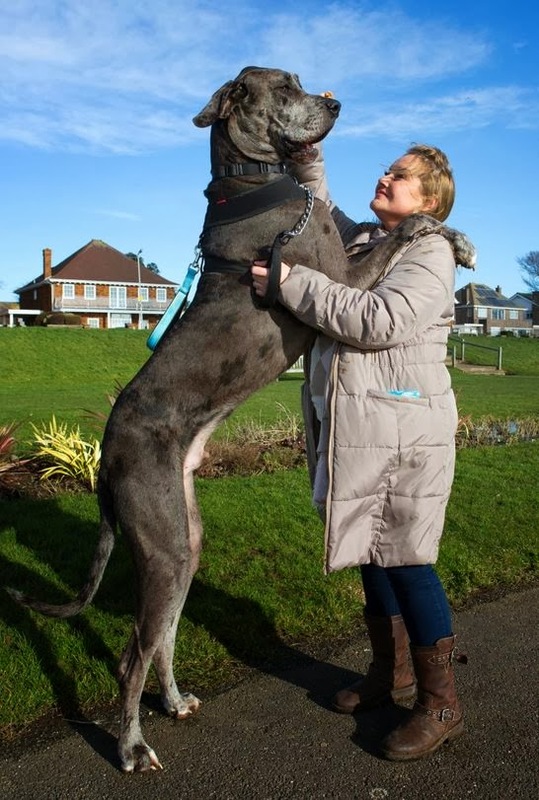 Freddy, only 18-months-old and very much still a puppy, towers over his 5-foot-4 owner Claire Stoneman who lives in Essex, England. 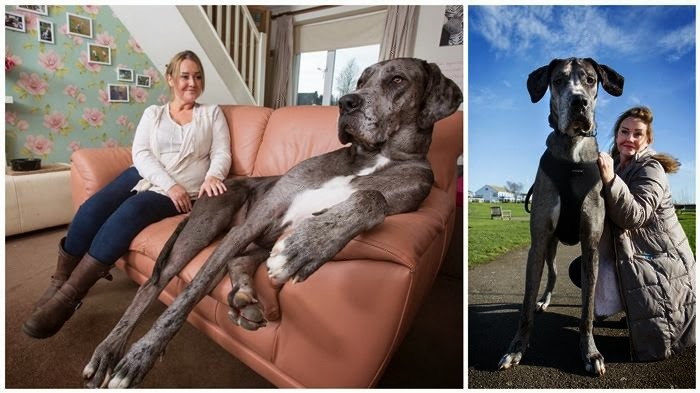 He's easily taller than Britain's previous tallest dog, which stood at 6-foot-6 on his hind legs, and he's tied with the current World's Tallest Dog, Zeus, a Great Dane from Otsego, Michigan. 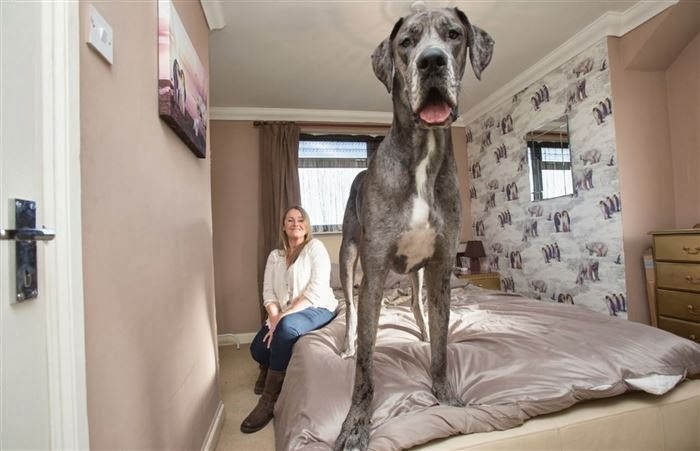 Zeus was recognized as the World's Tallest Dog in 2012 by the Guinness World Records at a height of 7-foot-4. Freddy was the runt of his litter, but has grown to his enormous size after a steady $100-a-week diet of dog food. Since Freddy is still growing, hopefully he'll soon take the official title of World's Tallest Dog.